Bring Back That Learning Feeling! Remember the feeling . . . ?
. . . The excitement of learning a new skill that is going to change everything?
. . . The comfort, pleasure, and inspiration of talking to a kindred spirit for the first time, and knowing it won’t be the last.
. . . The thrill of a working relationship that is going to take you places. This and more are what GELL and SXSW EDU are working together give you this year in Austin. GELL provides experiential learning modules and reflective structures to help youth and adults build 21st century skills. They work with individuals, schools and organizations. Taking advantage is as easy as reading your program guide. As you flip through, take note of the pages at the beginning and end of each days’ programming. These are designed to help you set intentions around your EDU experience, engage with other attendees in making those intentions come to fruition, and building plans and strategies to carry them with you back to the workplace and classroom. And at the end of the day there will be an intimate, experiential workshop expanding on those ideas, and supporting you in your efforts to build meaningful connections to the ideas you gathered and the people you’ve met. Enough said for now. 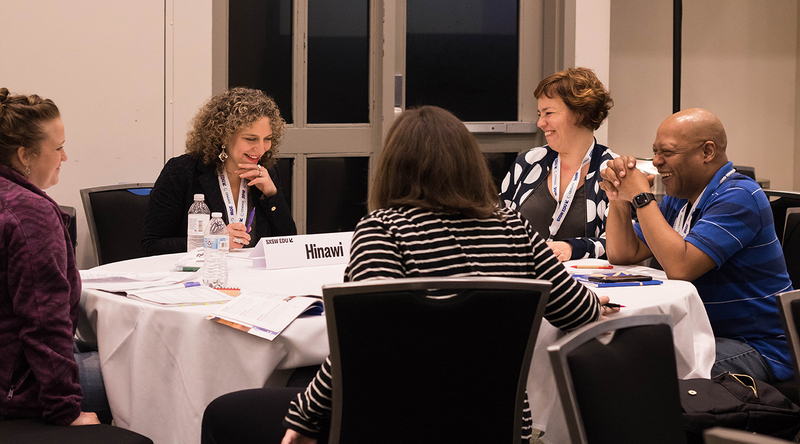 Find your transformational learning opportunity with SXSW EDU and GELL throughout the program guide, and find GELL staff for a deeper dive during these sessions. Can’t wait to learn with you. And should you want to talk further about how to make the learning in your classroom or workplace more personalized, more intrinsic—more. . . well, transformational—reach out to ready@gell.solutions to get more information on how we partner with organizations to do just that. Sponsored Content Provided by Sarah Hinawi. SXSW EDU Photo by Marlyn Garcia.